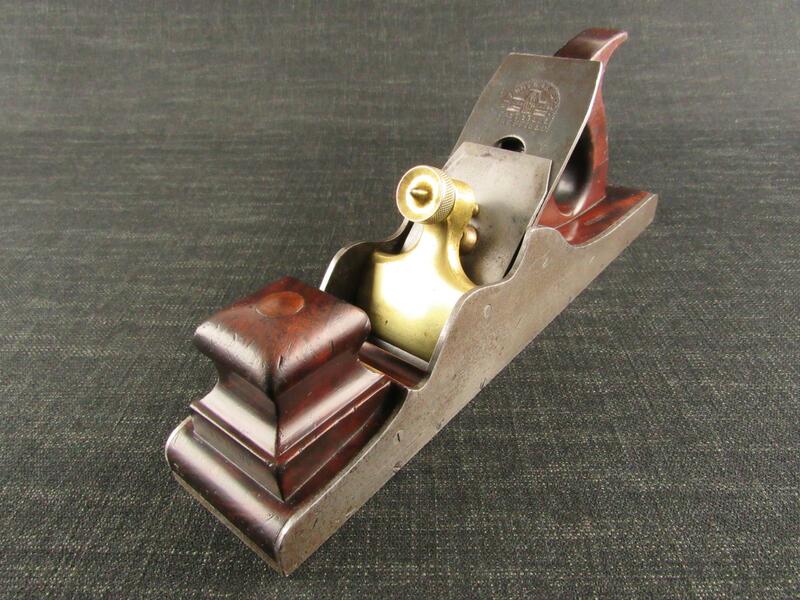 A good STANLEY 63 spokeshave with a round face. Marked 'STANLEY No.63 MADE IN ENG.' on the back of the body. Fitted with 13/4 inch STANLEY cutter with 3/8 inch remaining below the slot. Retains some of its original black finish and trade label.